Nike sent congratulations to Portugal as Cristiano Ronaldo and his teammates lifted the European Championship trophy last night - marking the first time the country has won a major tournament. Portugal beat France 1-0 after extra time, despite the tournament hosts being the bookies' favourites and dominating the game during normal time – and Ronaldo being stretchered off in the first half with an injury. The winning goal was scored by former Swansea City striker Éder. Bert Hoyt, vice-president and general manager of Nike Western Europe, said: "We are very proud to have seen two Nike teams playing the European final in Paris and we congratulate Portugal for its achievement. "Portugal demonstrated tremendous team spirit and resilience today to achieve victory in spite of the loss of their captain Cristiano Ronaldo. The game marks a terrific summer for Nike Football and confirms our global leadership in the most popular game." 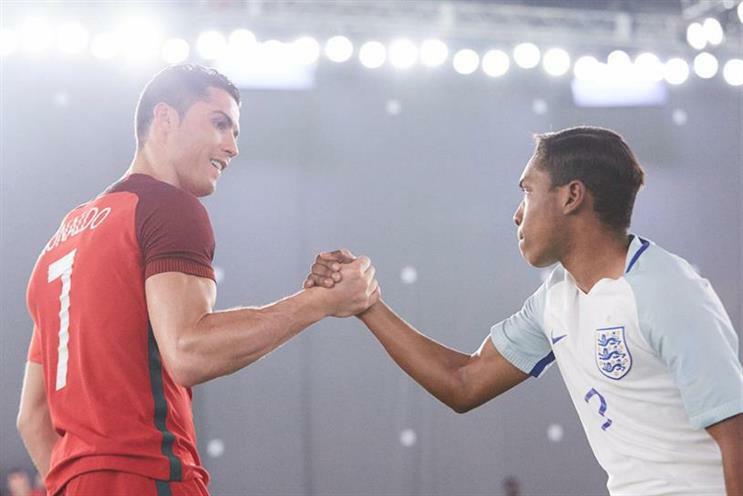 Both Portugal and France are Nike-sponsored sides, and each wore kits using the brand's Aeroswift technology. Nike also said that 60% of the players across the tournament had worn its boots, and that 50% of the goals in the tournament were scored in Nike boots.